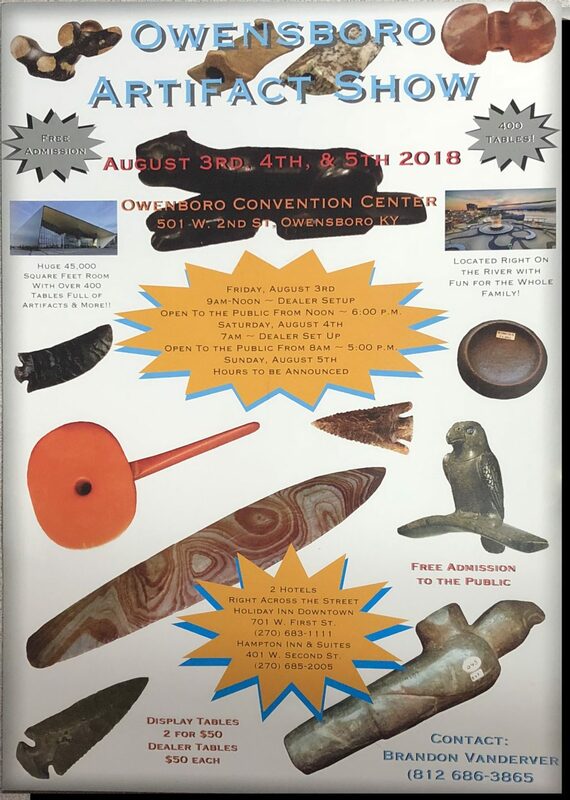 American Indian Artifact Show. Over 400 tables of displays – many items for show, sale, or trade. Also several vendors with coins, knives, antique guns, and swords. Several display cases vendors. Authentication services. Free estimates on your artifacts as well.